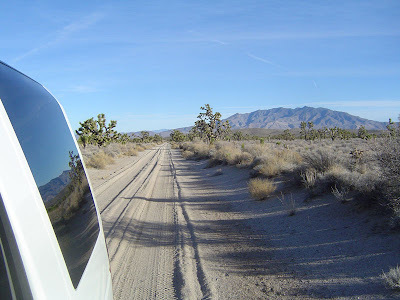 To avoid the holiday shopping traffic, I spent this past Saturday driving many dirt roads in the eastern Mojave Desert, in and around the Mojave National Preserve. 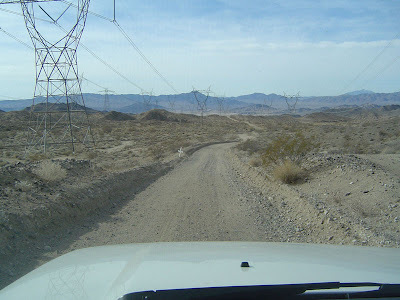 I decided to drive the powerline road from Excelsior Mine Road southwest to highway 127, just north of Baker. This is the same power corridor that I've blogged about here, and here. Once again, I was struck by the wide scar remaining from the trenching for the 2 natural gas pipelines that go this way. 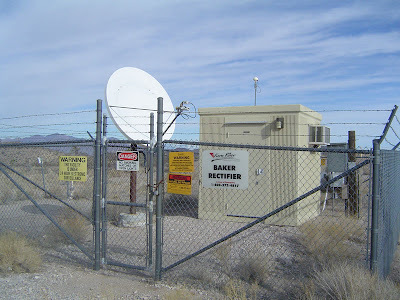 I came across this interesting rectifier station for that pipeline, outfitted with a satellite dish, a GPS antenna?, and four warning placards! 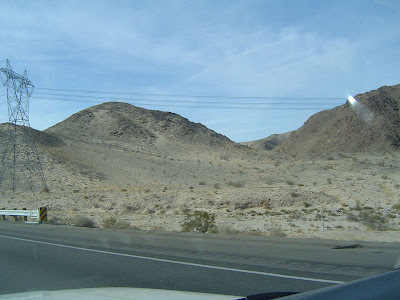 The road was hilly in places offering great scenic views of the desert to the north. 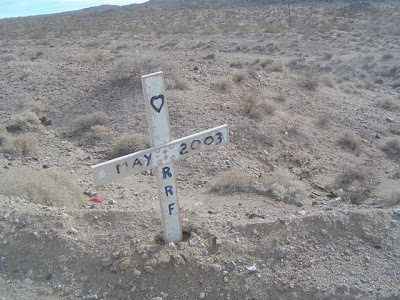 Here's a memorial cross that I came across. I googled and found no further info about this. 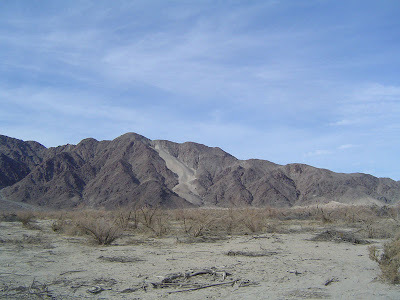 I reached Silver Dry Lake at the end. 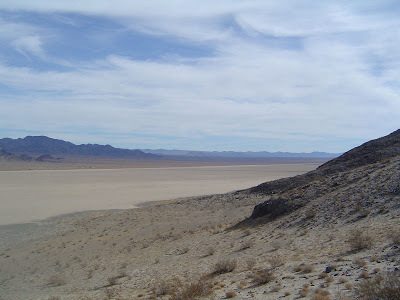 Next I took the Rasor Road exit off I-15 to visit Cronese Dry Lake. I took a few spurs to the north but still haven't made it to the playa. The sand was very fine and silty - probably normal for an ancient lakebed. That sand dune on the side of the Cronese Mountains was featured in a 1962 research paper. The road came to a hill and I chickened out. It looked super steep and covered in loose sand. 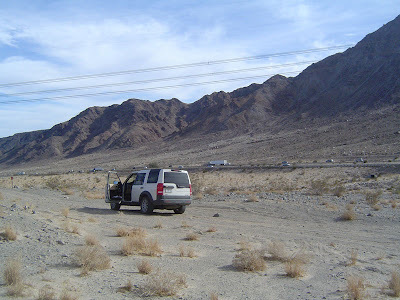 As you can see, I was right next to I-15, north of Cave Mountain (which I've hiked on many times). I later took some photos out the windshield when I was on that part of I-15 and the hill looks not quite so steep afterall. Maybe I'll try it another day. I made it as far as the base of that pylon on the left of the image. 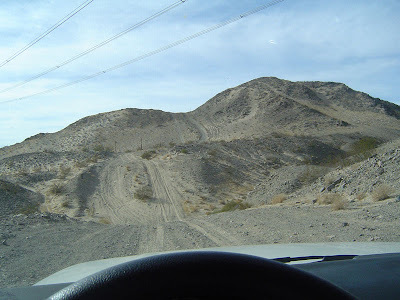 Hi, How safe is it to drive through Mojave. 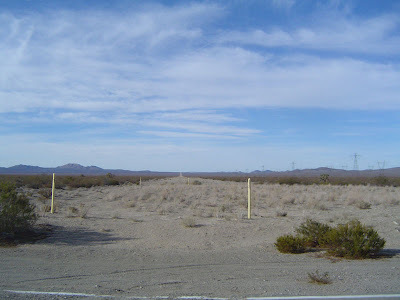 I am thinking of taking only the 1st part of the power line Rd from Nipton trading post to back to Nipton Rd then to FWY 15. Me and my GF will only be driving, I dont want to put her in a risky situation let alone myself, not that hardass material I am, haha. 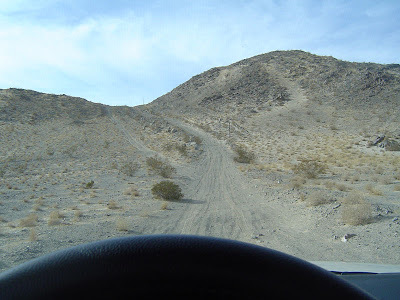 The difficulty of those roads depends on 3 things: 1) the driver's skill, 2) the car's capability, and 3) which direction you head when leaving Nipton Trading Post. If you head north from Nipton Trading Post (which is on Nipton Road), following the road along the railroad tracks - that ends at Primm, then that's fairly easy. It crosses under the railroad tracks once, so your car can't be too tall (no big truck with 6 inch lift on 35 inch tires). There are sandy washes, but they're not too bad. Don't go too fast on any part of that except when you drop down into the sandy washes to cross them - you need the momentum. For either direction, you'd best have 4wd/AWD and at least 8 inches of clearance. So most Subarus can do it. 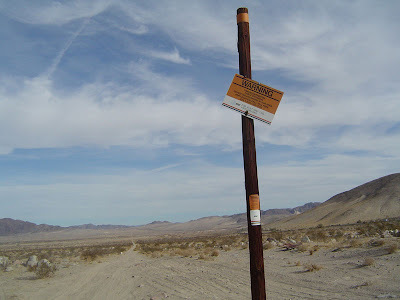 If you head south from Nipton Trading Post toward Ivanpah Road then turning back NW toward Nipton Road and west 3 miles to I-15, then that first stretch is very hard in places. It still fronts the railroad tracks, but gets much less use so it's more difficult. If you meant another road, then I'm sorry for getting confused. 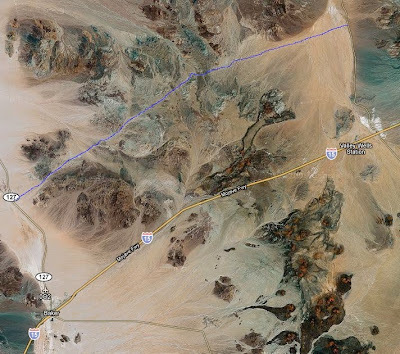 I personally like the big powerline road that parallels I-15 from Primm all the way to Minneola Rd, almost to Barstow. 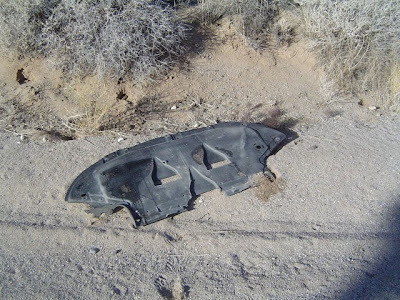 That one is broken into roughly 30 mile segments between bailout or pavement, each one can take over 2 hours to drive. 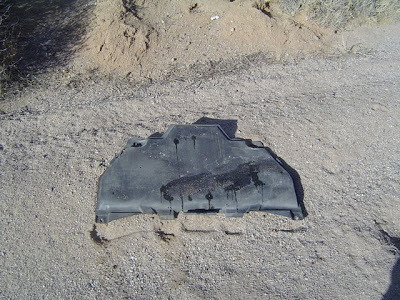 Some parts of that are sometimes challenging with deep sand or washouts. One nice stretch of powerline road that isn't too difficult is between Cima Road and Kelbaker Road, starting ~ 1.5 miles north of Cima. That one has few hard spurs to get snared in and is easy to follow. If I misunderstood, then I'm sorry. Most of the major powerlilne roads are safe for experienced drivers in decent cars. There are a few, however, that are sometimes quite hard. For example, the switchbacks just west of Red Pass are sometimes in bad shape. 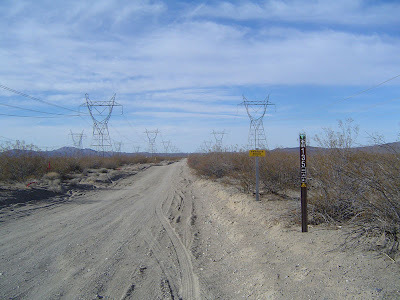 That part of the real long powerline road skirts the border of Ft Irwin. I've had to go real off-road there to get around a team of utility workers and their rigs and tractor as they were trying to rescue one of their trucks that was hanging off the edge of the switchback.